AIRMINDED from Ontofabulatory Research on Vimeo. 1.1 It is now almost a year since the RAF’s Remotely Piloted Aircraft Squadron first began operating a fleet of Unmanned Aerial Vehicles, located in Afghanistan, from their base in the Lincolnshire village of Waddington. Since the earliest experiments with ballooning, Lincolnshire has been an ‘airminded’ county, a phenomenon initially expressed through belief in the socially transformative potential of flight, but one that is expressed today in a celebration of the colonial, defensive, and administrative authority of air power, made explicit in efforts to brand Lincolnshire as ‘Bomber County’. As home to the drone pilot, whose job it is to manage information presented on a multiplicity of screens (charts, patterns, and other streams of data), the county is also a laboratory for experiments in ‘virtuous’ and virtual warfare (Der Derian 2009). 1.2 More broadly, though, drone culture is a symptom of what McKenzie Wark (2013) has called vectors of telesthesia, a third nature of topological power constituted by flows of information which exploits perception at a distance. What is revealed, in his examination of this carefully controlled space of flows, is the inseparability of the development of air power, from the development of informational power, from systems of communication. Wark does, though, speculate on a “delirious future”, one in which “every trajectory is potentially connected to every other trajectory, where all trajectories are potentially equal and equally rootless”. 2.1 The Committee takes its lead from Ivan Chtcheglov’s (2011 ) proto-situationist writing and the Letterist International’s tactical dérive. We propose that experiments are conducted to map the ‘psychogeographic contours’ of this vectoral space, and, in doing so, map the new trajectories of drone culture. Though we acknowledge that such techniques emerged in response to a disciplinary picturing of the world – enabled by the aerial view – we contend that aeronautical psychogeography can now function to reveal the strategic contours of a space in which divisions between here and there have collapsed. 2.2 Our attempt to map this space will involve flying over the Lincolnshire landscape but doing so by following an aerial chart of Waziristan, a turbulent trajectory that intersects this site of contemporary conflict with the various historical sites of our county, from the location where the first flight was made to the place where the first bomb hit. It is, then, by hijacking Lincolnshire’s visual culture that we aim to seize upon a newly collective situation in which front lines are dissolved. 3.1 The Society agrees with the Committee’s recommendation. Recommendation implemented. 3.2 It was the music critic, Greil Marcus (1998), who coined the phrase ‘old, weird’ to describe a temporality in which a calculated drift through past images can reveal present potential, weird because such forces cannot be contained or explained by our conventional narratives. Sukhdev Sandhu (2013) identifies a similar tendency in essay films which often “exhibit a quality of vagrancy and drift, as if they are not wholly sure of what they want to say or of the language they need to say it, which may stem from their desire to let subject matter determine – or strongly influence – filmic form”. Here, though, the object is not simply rumination, it is an act of re-processing flows of information which vectoral power has rendered continuous. Accordingly, the Society proposes that this encounter should occur in the manner of a system error, one that produces a temporary reset, a glitch from which automatic procedures might generate chance emergences and new connections. The Society for Ontofabulatory Research is an experimental working group based in the School of Media at the University of Lincoln. Established in 2013, the group is dedicated to exploring new relations between theory and practice, and new rhythms of collective enunciation that operate beyond the conventional discourses of the academy. Its members include academics, artists and writers based in Lincolnshire. Peter Adey’s paper on ‘affect, airmindedness, and the birth of the aerial subject’ in the journal Cultural Geographies. Stephen Graham’s book Cities Under Siege: The New Military Urbanism (2010, Verso). Derek Gregory’s excellent website on war, space, and security, Geographical Imaginations. Ian Shaw and Majed Akhte in Antipode on ‘The Unbearable Humanness of Drone Warfare in FATA, Pakistan’ (see also Ian’s essay on AntipodeFoundation.org, ‘From Baseworld to Droneworld’, and his blog, Understanding Empire. A great interview with McKenzie Wark on the military, technology, and videogames in The Miami Rail. I’ve just given a talk on air and territory to a group of Durham geography students, so finding this Antipode intervention today feels especially appropriate! Especially like the gestures upwards. 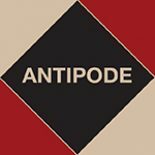 This entry was posted on 28 January 2014 by Antipode Editorial Office in Interventions and tagged Afghanistan, air power, airmindedness, Bomber County, defense, drone culture, drone warfare, drones, Lincolnshire, militarism, military bases, psychogeography, RAF, Remotely Piloted Aircraft Squadron, Royal Air Force, security, technology, telesthesia, the aerial subject, unmanned aerial vehicles, virtual warfare, virtuous warfare, war.